Welcome! 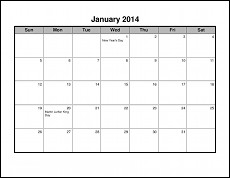 Here you'll find printable calendars in Microsoft Word format. Free calendars are available for dates up to the next month. To get any formats for any & all dates, consider my Full-Access Membership (or log in).